Snorkeling is one of our passions and we have been lucky enough to enjoy it on three Hawaiian Islands, in Costa Rica, in Thailand, in Bali, and in the Caribbean waters of Mexico. 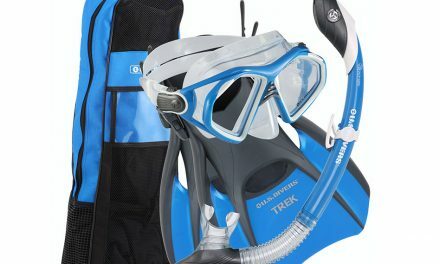 Wherever we travel, we always pack out snorkel gear. There are only a couple of things that will keep us out of the ocean and one of them is jellyfish. Neither of us have ever been stung badly, but we have experienced the feeling of tiny electric shocks on our skin from almost invisible, and impossible to avoid jellyfish larvae. It was not fun and it ruined what would have been a beautiful day snorkeling in Bali. 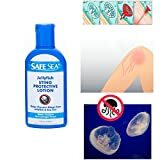 Since then, we have searched for a way to snorkel without worrying about getting stung by jellyfish and we finally found it in a truly unique product called SafeSea Anti-jellyfish Sting Protective Lotion. We still will avoid the ocean if we learn that there are large jellyfish in the water. If we are unsure, we apply SafeSea. 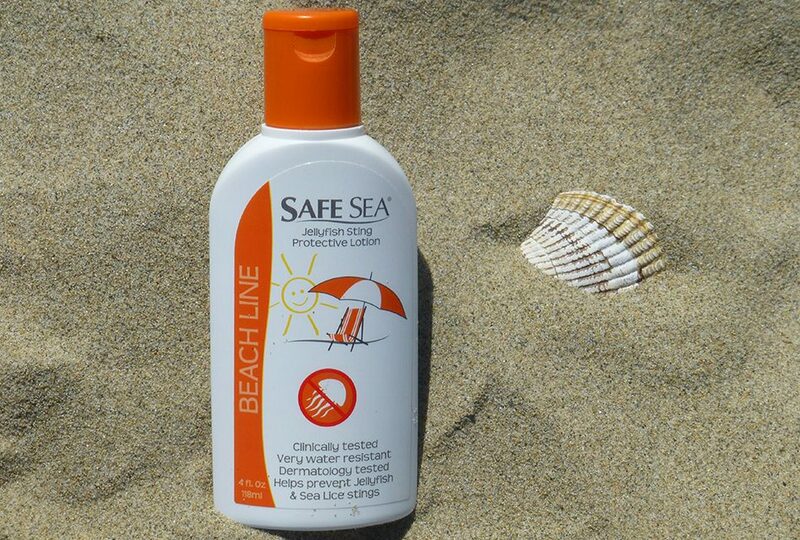 Originally, when we purchased SafeSea Anti-jellyfish Sting Protective Lotion it didn’t have sunscreen in the formula, but now it includes it, which is great, because otherwise we were applying two lotions before snorkeling! 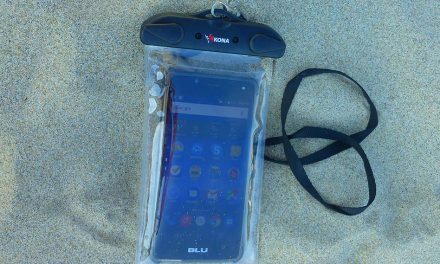 It is truly a unique and amazing product and for people who enjoy snorkeling and diving, it is a blessing. Anyone who’s ever suffered the pain of a jellyfish sting knows it’s an experience they never want to repeat. In the past the only way to be sure you could avoid it was to stay out of the water, but no more. Marine biologist and jellyfish toxin expert Dr. Amit Lotan, PhD. 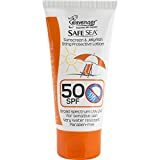 has developed Safe Sea®, the first product to combine sunblock with protection against the stings of jellyfish and other stinging aquatic creatures. By creating a surface barrier on the skin much like the one clownfish employ to avoid anemone stings, Safe Sea® offers protection against the stings of such jellyfish as the Atlantic Box jellyfish and Rhopilema, Sea Nettle, Fire Coral and other stinging aquatic organisms. A second line of defense is provided by the formula’s ability to greatly reduce stinging cells’ ability to fire. Also offers protection from Seabathers Eruption, commonly blamed on “sea lice” but actually caused by the stings of hundreds to thousands of tiny, immature, nearly invisible jellyfish. • The original Safe Sea® lotion formula is ideal for divers as it contains no sunscreen. Use alone, or mix this variety of Safe Sea® lotion 1:1 with your favorite sunscreen for a custom level of UVA/UVB protection. • The SPF formula is ideal for those who want protection from both jellyfish stings and harmful UVA/UVB rays, and contains vitamins E and B for the skin. Available in SPF 15, 40 and 50. SPF 50 Kids is a special formula of the same lotion for children and adults with sensitive skin. • Finally, the new manual pump spray bottle is available in SPF 40. All varieties are hypoallergenic, highly water resistant for up to 80 minutes in the water, and have no unpleasant odor. 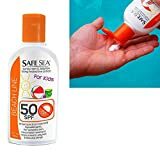 1 Kids SafeSea UVA UVB Sunscreen Jellyfish Sting Protection SPF50 Lice Lotion !